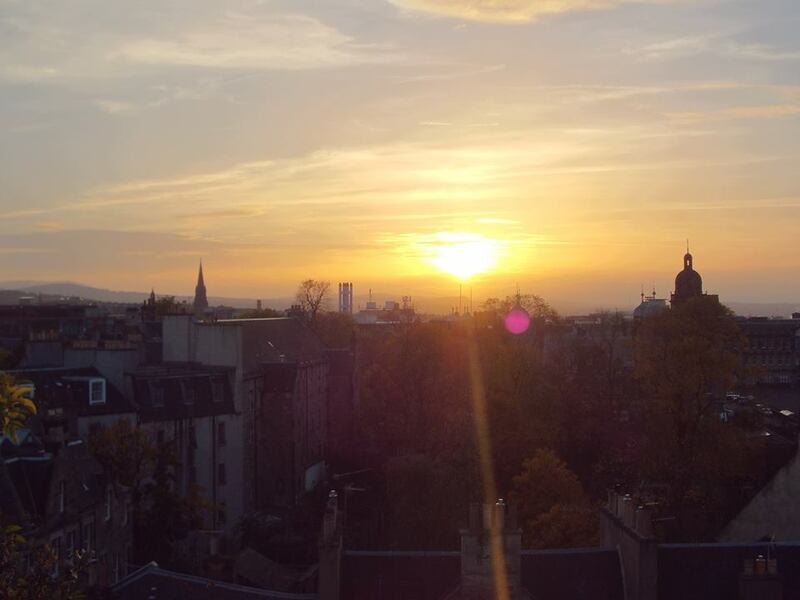 The autumn conference of Students for Co-operation took place this past weekend in Edinburgh, at the Edinburgh Student Housing Co-op. 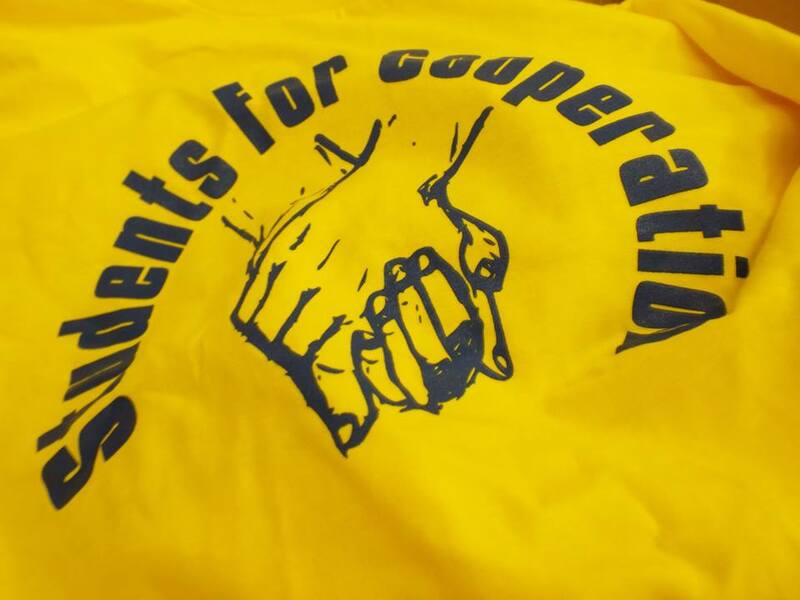 Students for Co-operation is a national network of student co-ops which works to help its members develop co-ops on their campuses, spread awareness of the power of co-ops through the student population, and get new student co-ops up and running. 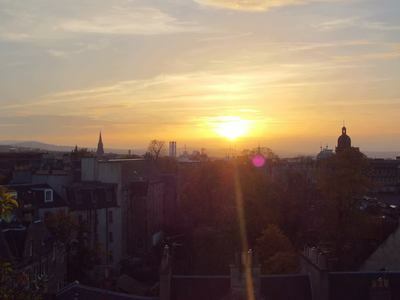 The conference took place at the Edinburgh University campus, and was hosted by the Edinburgh Student Housing Co-op, which with over 100 members is a lot larger than our cosy co-op! ESHC is situated on the edge of the huge green expanse the Meadows, and is within walking distance of the university. 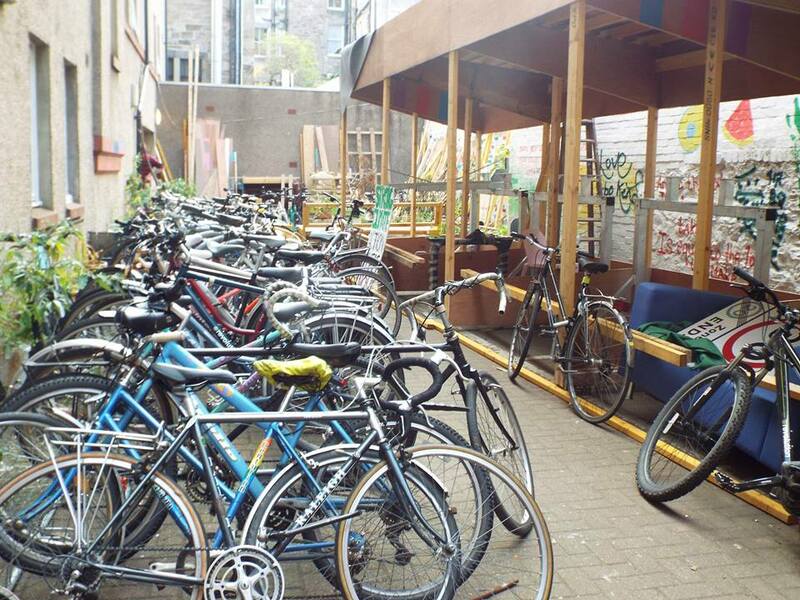 Opening its doors one year before ourselves, Edinburgh have been inspirational allies in the student co-operative movement. 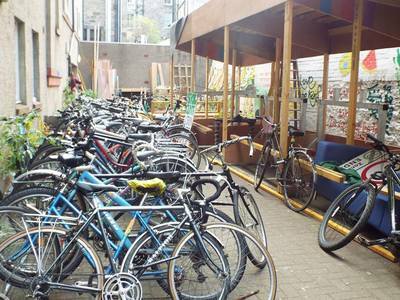 Their building is decorated warmly with DIY deco, slogans and painting, cats, a DIY workshop, and an impressive amount of bikes. 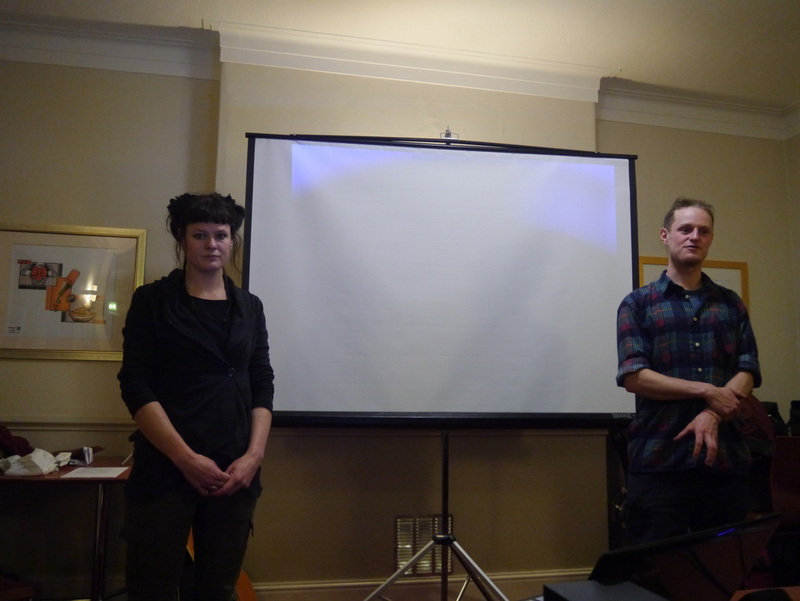 ESHC embody the positive space that housing co-ops promote. The three days were a mix of planning SfC projects, learning about local co-ops, discussing co-op theory and philosophy, learning practical skills, and socialising with lovely co-operators from all over the country. One session had us discussing the recent trend in capitalism for co-ordinating and monetising grassroots service provision, as exemplified by Uber and Airbnb, and how these systems might be better democratised. Another introduced the idea of emotional labour, the unseen work that we so often find ourselves overwhelmed by in co-ops and campaign groups, and how best to recognise it. Part of saturday afternoon saw several co-op attendees making badges with a cute little manual machine recently acquired by an ESHC resident - they were even floating ideas for a badge-making co-op! ​Perhaps the most inspiring thing about the conference was getting to see all the other co-ops that members and alumni of ESHC have been involved with developing or setting up. There’s the New Leaf food co-op, which seeks to bring good wholesome food to demographics other than the wealthy middle classes who the organic movement typically favours, and provide good quality employment for local young people. 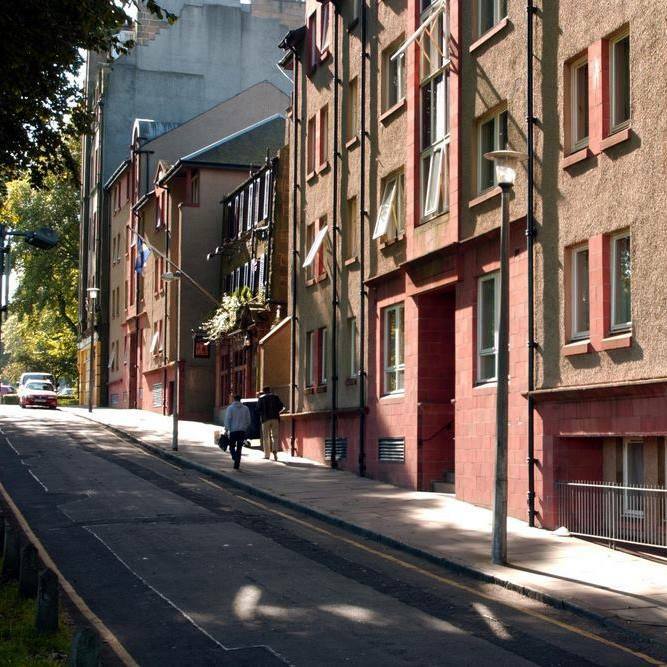 There’s the Mutual Artists’ Studio Co-op, the first of its kind in the country, which gives local artists in Leith cheap access to communally-run studio space and puts on all sorts of workshops and events for the local community. And there’s the very new Edinburgh Brewing Co-op, which provided us with many pints of delicious, original beer at cheap prices to lubricate the conference’s socials. 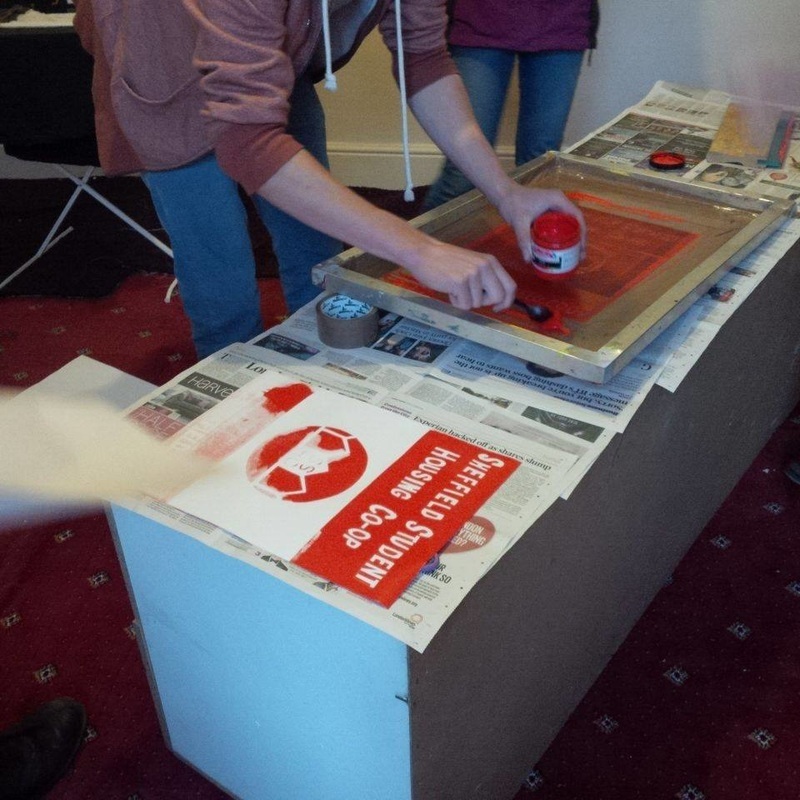 All these initiatives go to show the importance of student co-ops to the wider co-op movement. A successful student co-op creates new co-operators, inspires them ideas for new co-ops, and gives them the tools and the desire to go out and make those co-ops work. 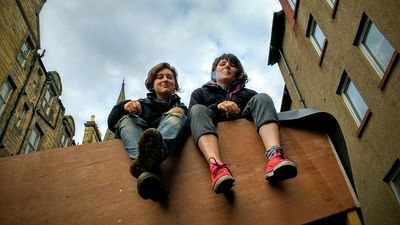 A wide student co-op movement lays the groundwork for co-ops being much more widespread in all walks of society in the future. And if the plans made at this conference are anything to go by, SfC will be expanding significantly over the next few years, so expect to hear more from student co-ops near you in the near future! Welcome to our January 2015 newsletter, keeping you up to date with what's going on with Sheffield Student Housing Co-op. We are in the final stages of negotiations on getting our first house, with the help of the Phone Co-op. We hope to be able to move the first SSHC residents in at the start of April this year. If you want to live in the Co-op yourself or know anyone that might, get in touch! Two delegates from SSHC went to the latest SfC conference in Leeds this weekend. It was great to meet so many new co-operators, and exciting to see that Student Co-ops are popping up all over the country now. 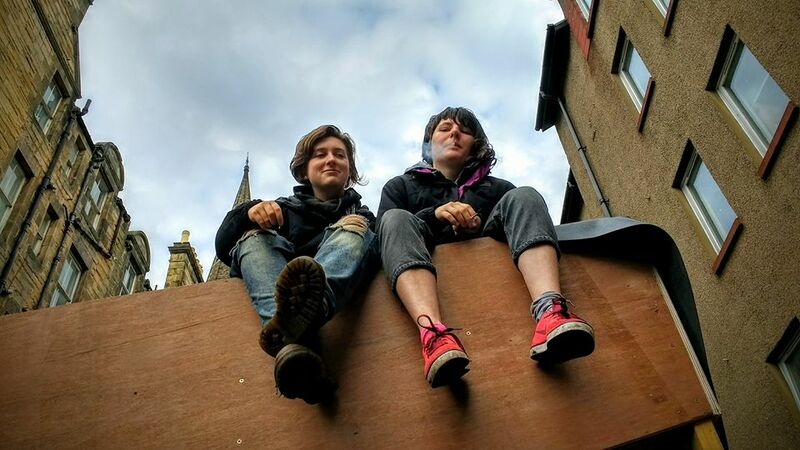 It was especially inspiring to hear about Edinburgh Student Housing Co-op, who've now had possession of their 105 bed property for over 6 months. They're charging the cheapest rent in Edinburgh and having a great time while they do it. 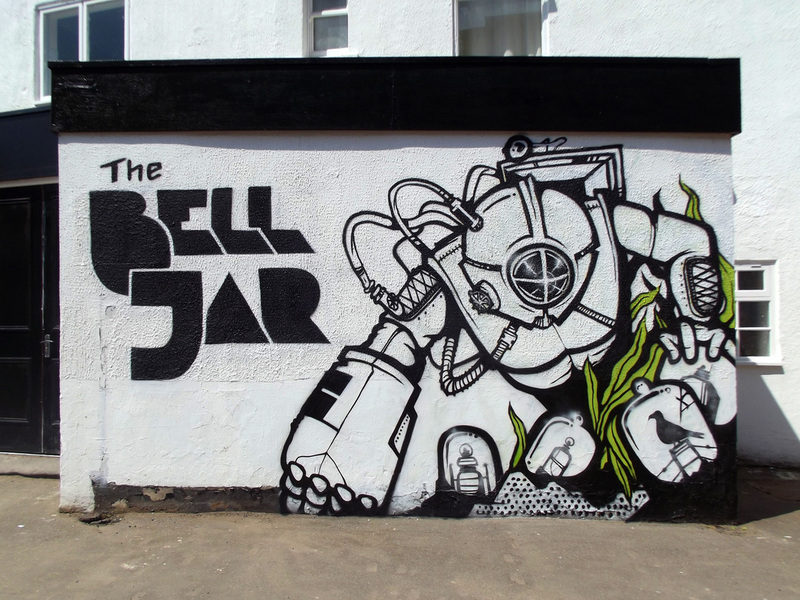 Our first fundraising gig happened last night at the Bell Jar pub on London Rd. A great evening was had by all and we can't wait to do some more in the future. 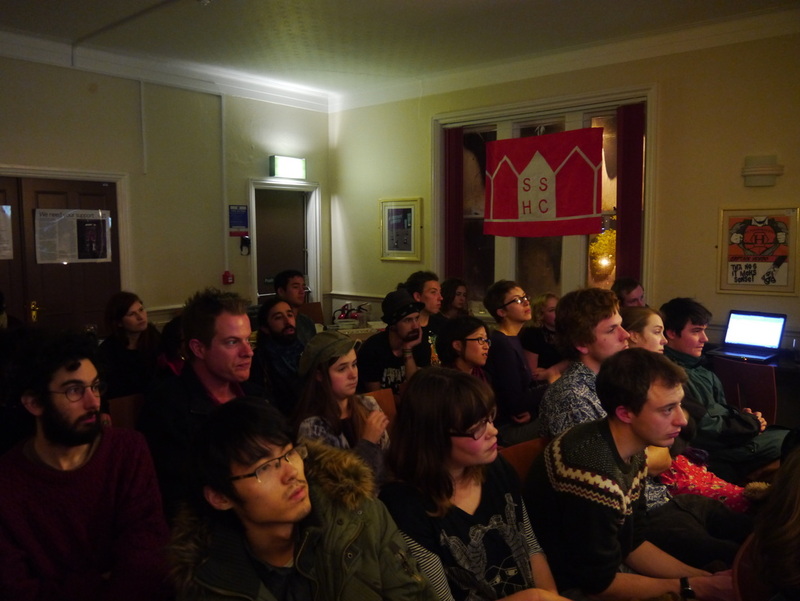 Thanks so much to everyone that came down last night, we had a fantastic time and hope you did too! Thanks again to the musicians and to Tropical Lenin for making the evening! On Thursday night SSHC attended the launch of the NUS ground breaking report on the state of student housing Homes Fit for Study. We're starting to work with the NUS on spreading the co-op word to other universities and lobbying government. · Jamie and Roy met with the phone co-operative and North West Housing Services and had a very positive meeting discussing a private investor financially supporting SSHC. 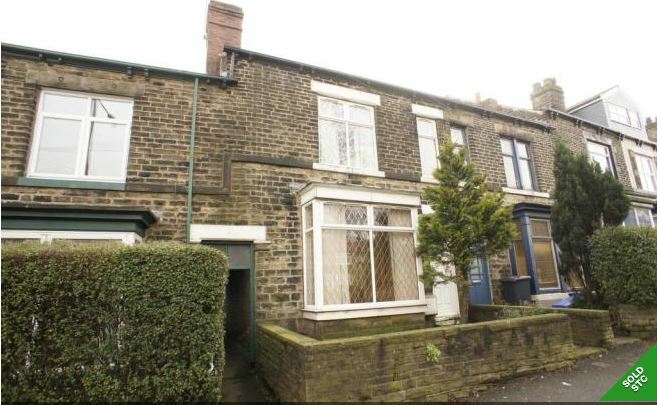 The current plan is that this investor will purchase 2 properties for 10 residents totalling around £400,000. SSHC will pay some of its income to the investor but will also be able to build up capital. This opportunity allows SSHC to show that it is financially feasible and successful. The plan is that in 3/5/7 years SSHC would be able to approach banks and private investors in order to purchase houses. The investor have made it clear they would give us control over the house, short of knocking things down, which means we can still develop these properties as places to live. Also, we would be able to buy the properties from the investor in the future. This isn’t what we originally set out to do, but is simply the most effective way of setting the co-op and proving to mortgage lenders that we can manage our own properties. · Jamie and Roy have also talked to Tom Hunt from the labour party about the co-op. We filled him in on the project so that he could feedback to Paul Blomfield, Labour MP for Sheffield Central. No real actions from this meeting, but it was good to meet up and further spread the idea. Tom himself was very supportive of the idea and keen to help us get in contact with other organisations who could help us out in the future. 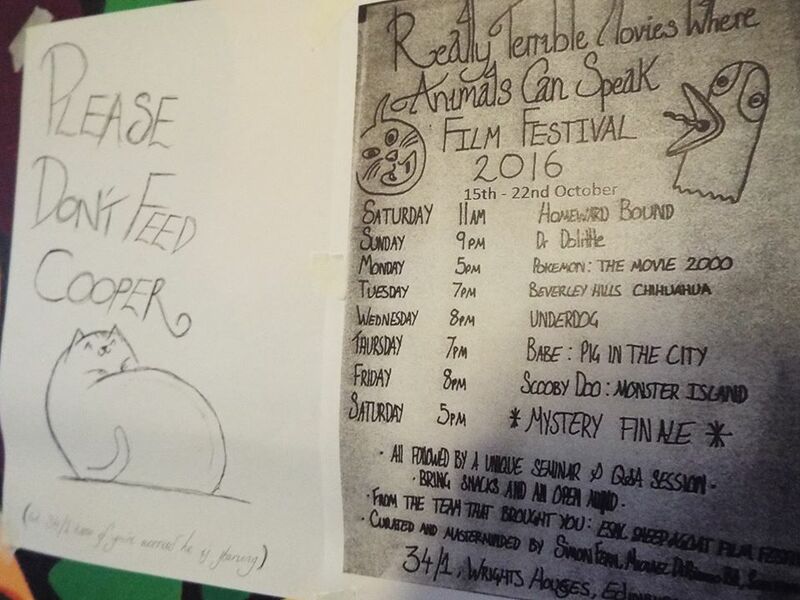 We also talked about spreading the story of the co-op around Sheffield, through various magazines and email lists. The idea was that it would be good to raise the public profile of SSHC so that when we start looking for investors in a couple of years time, people will recognise SSHC. Jamie is going to contact North West Housing to try and organise a surveyor to come and look at three properties next week. SSHC supporters will be told of when these house viewings are happening so you can come and look at the house with us, particularly if you are supporters that actually want to live in the house. Anna-Ruth has started working on the Alumni funding application. Nice one. In the next general newsletter that Roy sends out, he will ask people to reply if they are wanting to live in one of the SSHC properties. This is to get a good idea of how we will fill up the 10 places. In the meeting we discussed first going through our email list and the facebook page, then we could send out a Uni wide email. The idea is that we want to give priority to people who have been coming to the meetings and who have taken an interest. Roy and Rosie will look at the funding application from the co-operative group. Roy will think about the A3 poster and will contact people when he wants specific jobs done. Next meeting, 31/3/14 Bath Hotel, 6pm. Arms raised like a forest! Last Thursday the student union council voted almost unanimously in support of SSHC! We are now officially supported by the students union! It was pretty good to introduce the co-op to a whole room of new people and it was great to have such a resounding vote of support. There's also the potential for the union to financially support the co-op. 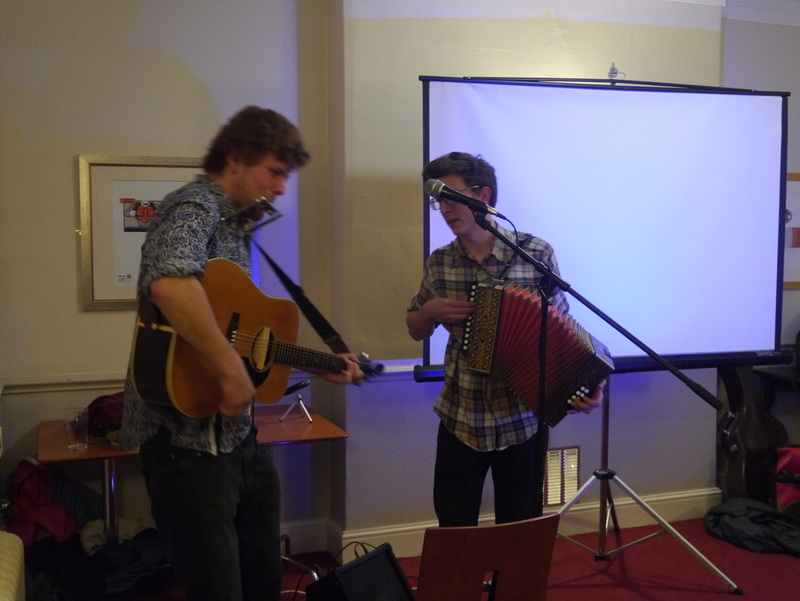 Many thanks to all the people who came down to our launch party on Sat 23rd Nov. It was really amazing to see such interest and engagement at our first public meeting. Thanks also to all the people who helped out: the cake bakers, the projector lenders, the music players, the song singers. 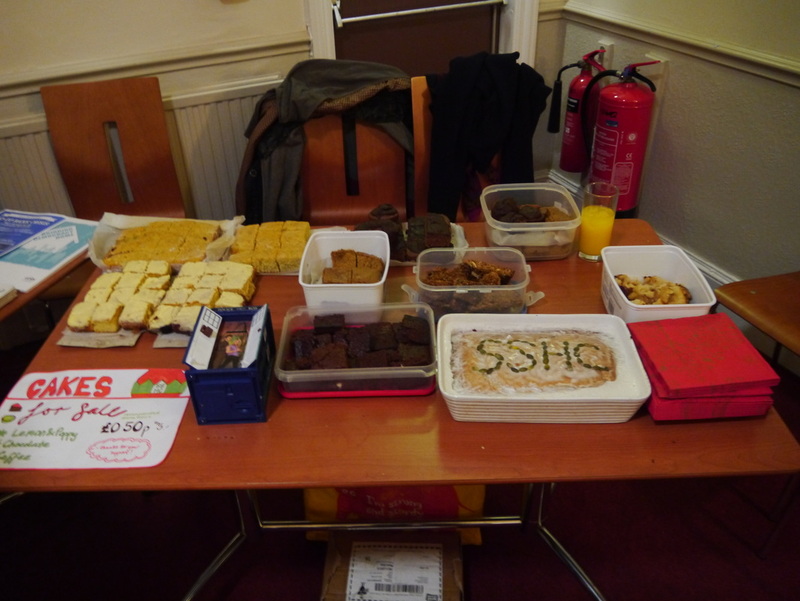 With the combination of everybody's hunger and generosity we managed to raise £37 through the cake sale! At the moment the funds are still in my TARDIS money box but we will soon be opening an official SSHC bank account and they will making their way there. Everyone at the launch really appreciated hearing from Fireside and Brambles Co-op members talk about their experiences of co-op living. 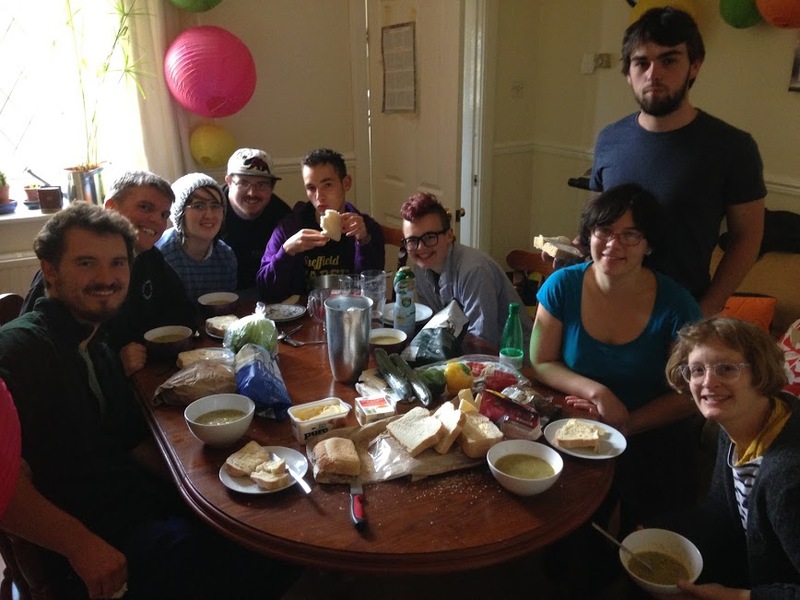 There are so many positives to communal living, and specifically communal cooking/eating, and it was terrific to hear their stories first-hand. Thanks also to the other co-ops around Sheffield that have supported us, given us information, contacts, and invited us around for a cup of tea. 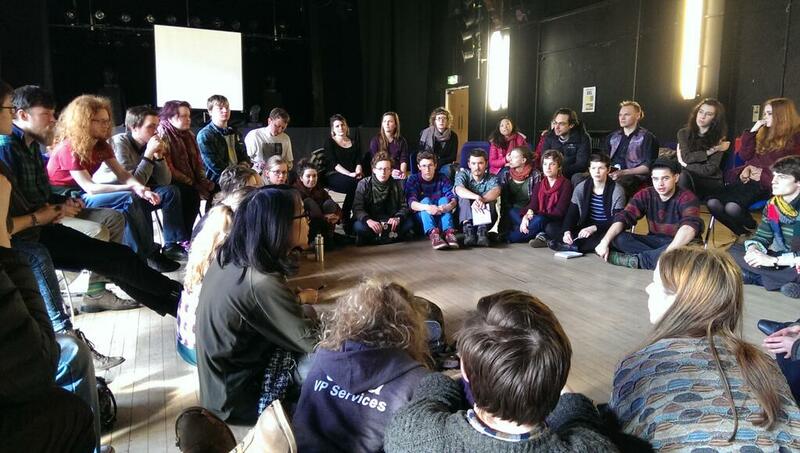 After a lot of talking from us, we had a truly great open discussion about some of the key issues for a student co-op. One of the main questions that I wanted to hear your answers to was if student co-op members would be willing to put in the extra hours of work to run the co-op. Compared to the traditional lifestyle of students in landlord-owned housing, student co-op members will have to put in extra work on the maintenance of the house as well as meetings. The consensus response we received at the launch party was that co-op members would have more responsibility, which would take time, but with that they would also have more control and power. For example, whereas many current students have to wait around in poorly maintained housing, co-op members could make the decision to either fix the problem themselves or to pay for somebody else to do it. This balance between responsibility and control may not be everyone's cup of tea, but many people would find this attractive. Which leads on to another key point raised that evening: access. We started a debate, which I'm sure will go on for a while, about whether we should try and make the co-op as open and as accessible to as many students as possible, or whether we should build upon the community of students already interested in alternative living. 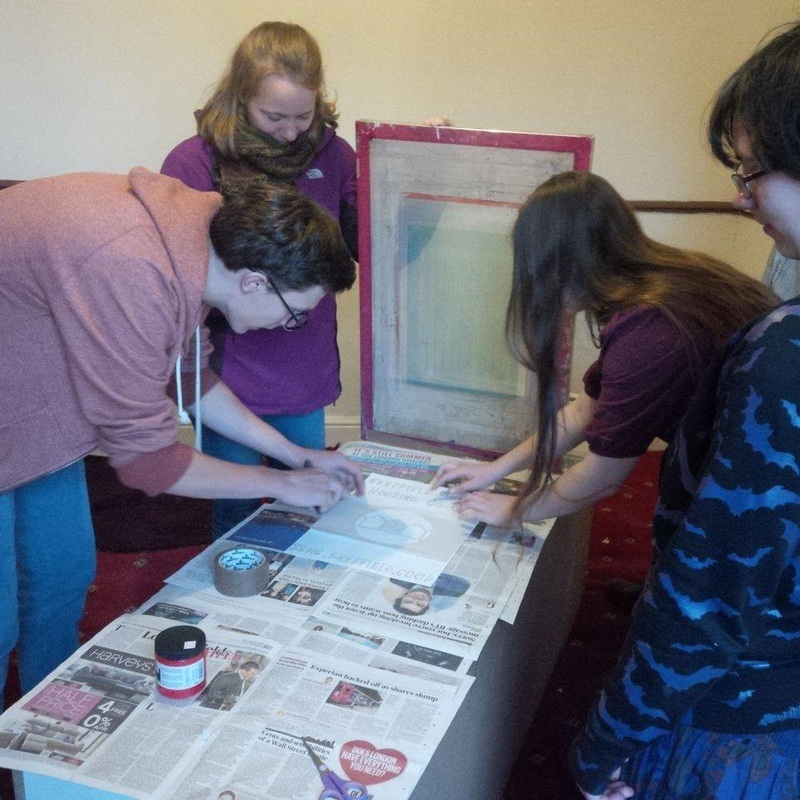 It was agreed that providing co-op housing for all students should be SSHC's long term aim, but that, for now, starting small with a group of people attending working groups is the best way to pragmatically get our ideas into actions.